Our Support Staff includes veterinary nurses and receptionists. You will meet them at the front counter, where they will be happy to help with most general health queries as well as give sound advice on diet, heartworm, intestinal worming and flea control for your pet. Our nurses perform many vital roles in our hospital. They have extensive experience in animal care both while your pet is in our hospital and assistance with your outpatient care. In surgical cases they supervise the comfort of inpatients before, during and after procedures. 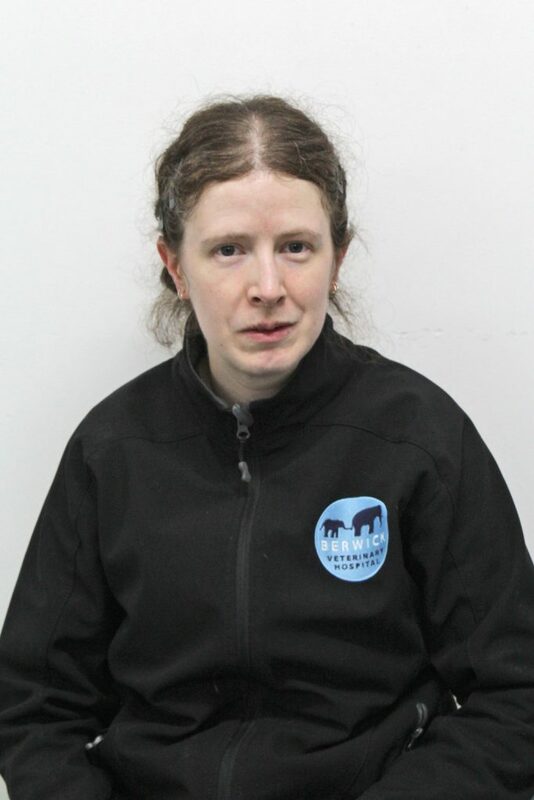 Jess has worked in the veterinary industry for over 12 years, first joining our team as a veterinary nurse in 2011. During this time, she also completed a Bachelor of Animal Science and Management at the University of Melbourne. Following this she spent a few years away, completing a Bachelor of Veterinary Bioscience at the University of Adelaide. After becoming a Mum in 2015, Jess re-joined the team, stepping into the position of Practice Manager in 2017. Jess has a special interest in business development and loves working alongside the team to provide an exceptional service to our clients and their furry friends. Jess shares her home with husband Jacob and their two young kids Ayden and Madison. Their family wouldn’t be complete without their two golden Retrievers Abbey and Jaxson, Fedel the cat and Ayden’s pet fish – Nemo and Thomas. In her spare time Jess enjoys horse riding and spending quality time with her family and friends– camping, fishing, golfing and spending time at the beach have become the favourites! Mandy lives with her partner Jason, 2 dogs – Zak (Labrador) and Kaiser (English/French Mastiff x who weighs a whooping 68kg! ), 2 cats – Buster and Tigger, 2 birds and 4 chickens. Mandy loves her job and couldn’t imagine doing anything else. Renee joined the team in June 2017 as a veterinary nurse. 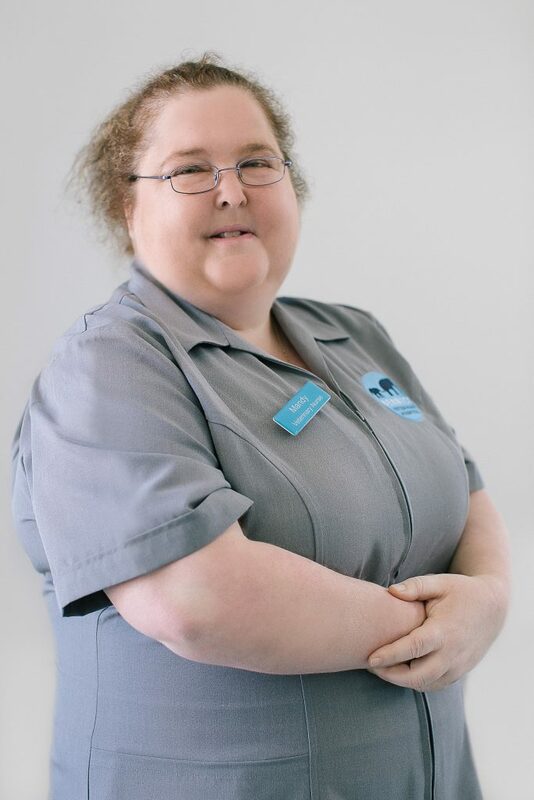 Her favourite part of the job is caring for unwell hospital patients, helping them to bounce back to a full recovery so they can return happily to their families. She also has a special interest in reproduction. 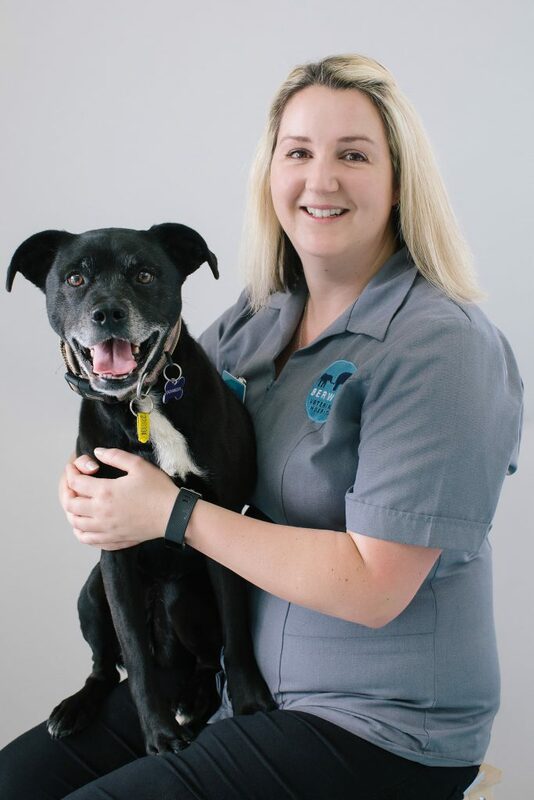 Renee completed her Certificate III in dog training and behaviour through National Dog Trainers Federation and is currently studying her Certificate IV in Veterinary Nursing. 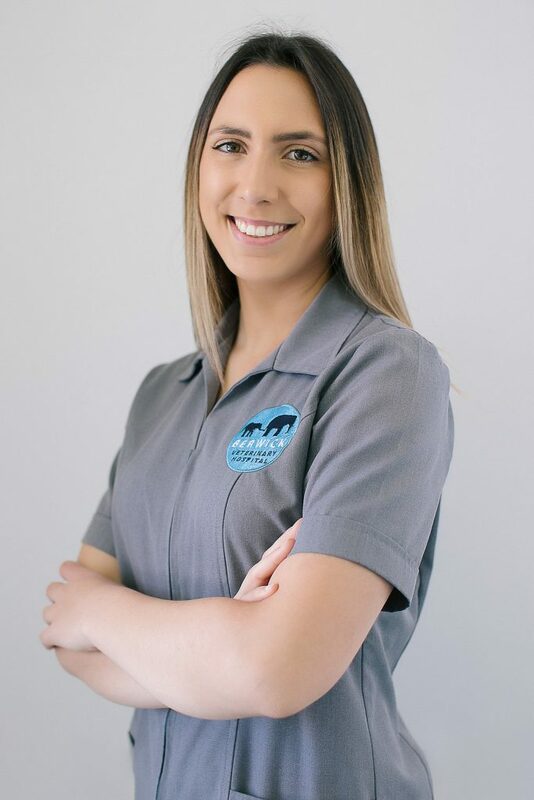 Renee is a registered breeder and enjoys spending her free time furthering her knowledge in training and dog behaviour and competing in conformation shows, weight pull, lure coursing and rally obedience with her American Staffordshire Terriers – Mercy and Tala. Daniel joined our team as a receptionist in June 2017 with the goal to follow a career in veterinary nursing. 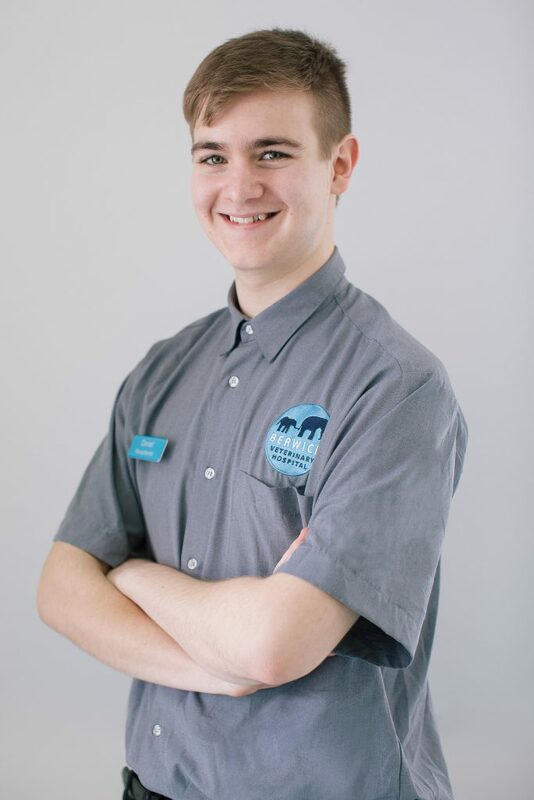 Daniel has completed a Certificate II in Animal studies and has recently commenced a Certificate IV in vet nursing, allowing him to join the nursing team at Berwick Veterinary Hospital. He enjoys client interaction, particularly in the consultation setting and is eager to further develop his medical and surgical nursing skills. Daniel doesn’t share his home with any pets currently, but is looking forward to adopting a fur baby when he finds a place of his own. Casey has two 2 rescue cats at home – Momo Takimoto and Yuki, and Evo the border collie cross. Christina originally joined the BVH team in 2011. During 2016 and 2017 she worked in various other facets of the industry, including completing a contract as a surgical nurse in a specialty facility. 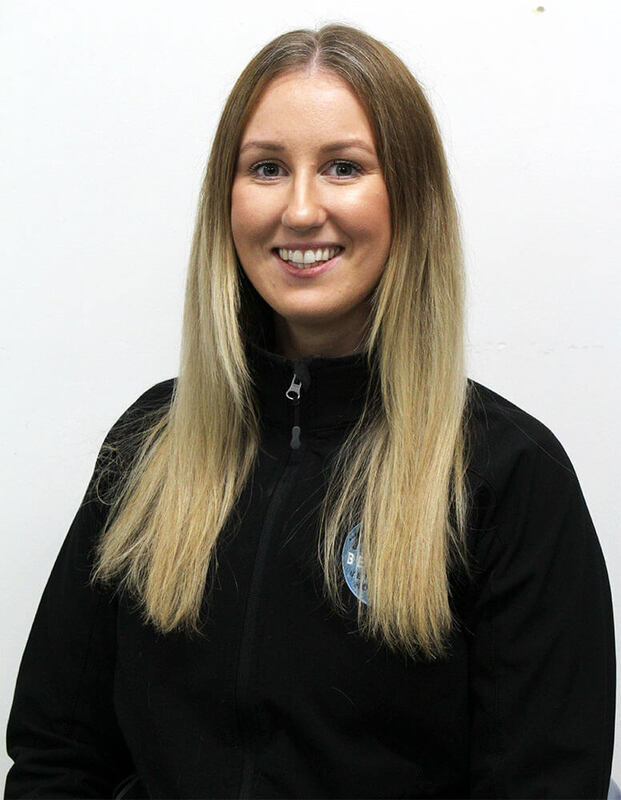 She re-joined the team in 2018 and now works part time with the Berwick crew and part time with a surgical team in Melbourne. 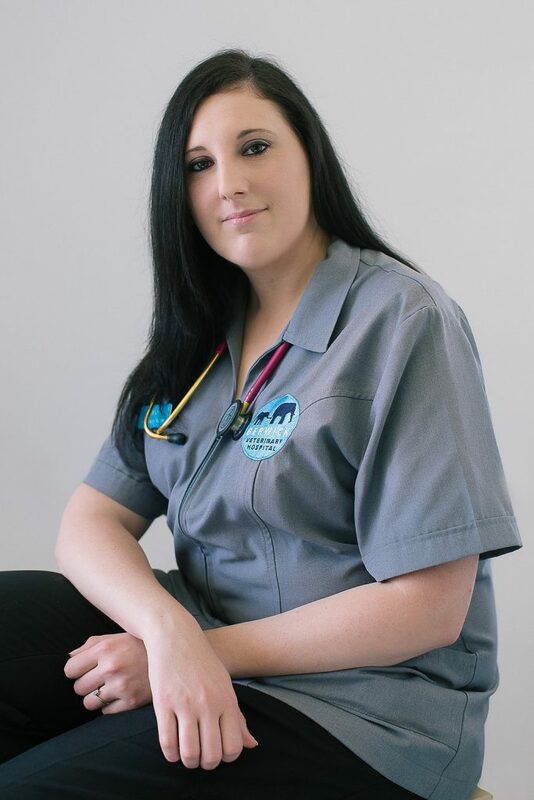 Christina is a qualified vet nurse and is accredited with the Vet Nurses Council of Australia. She holds a Vet Nursing Diploma and a Diploma in Pet Bereavement Counselling. She has been vegan since 2004 and is dedicated to honouring the human-animal bond, with a special interest in end-of-life care. She holds memberships with Sentient (The Veterinary Institute for Animal Ethics) and the IAAHPC (International Association for Animal Hospice and Palliative Care). Christina also has a strong interest in human wellness support. In her spare time she studies with the Australian Institute of Professional Counsellors, and runs classes in expressive writing for people who are recovering from grief and abuse. She lives on a small rural property with her husband and their extended animal family, which includes birds, cats, goats, alpacas, chooks, cattle and one cheeky Red Heeler named Blu. Alicia joined the team in January 2018 as one of our dedicated receptionists. She loves getting to know our clients, greeting our canine friends with a cuddle, keeping baby possums warm inside her jacket and of course hanging out with Leroy, our clinic dog. 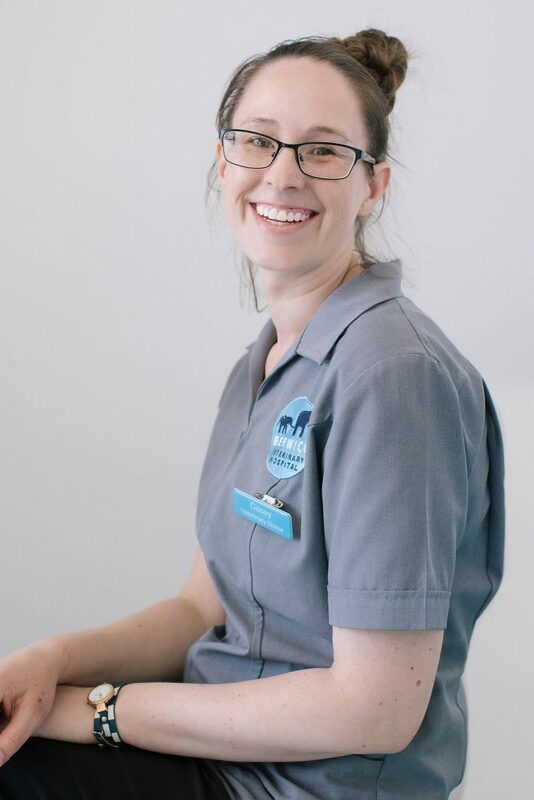 Alicia has completed her Certificate III in Animal Studies and is looking forward to commencing her Certificate IV in Veterinary Nursing in 2018. She has also volunteered in South Africa at a research through conservation park with lions, tigers and cheetahs. She enjoys travelling, outdoor activities, painting and photography. Alicia has a much-loved rescue staffy, Thunda, who is three years old. Crystal is one of our Receptionists who joined the team in April 2017. 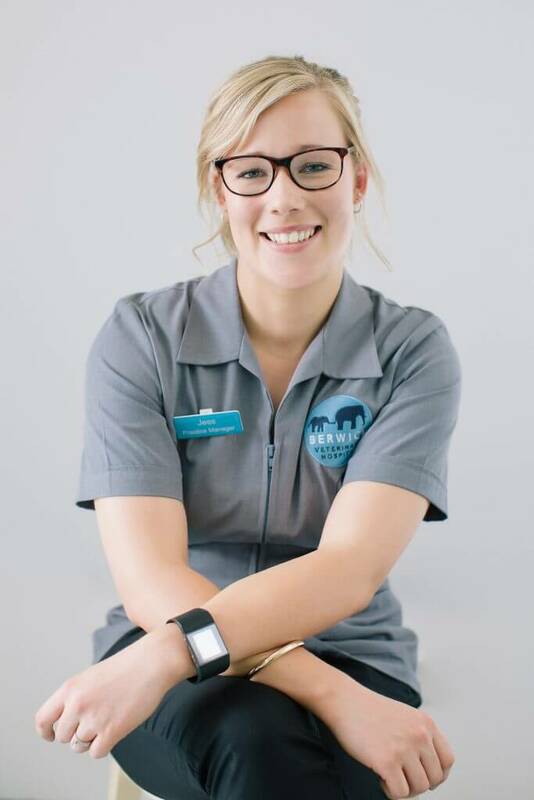 Her favourite part of the job is utilising her Vet Nursing knowledge and offering nutritional and pet care advice. 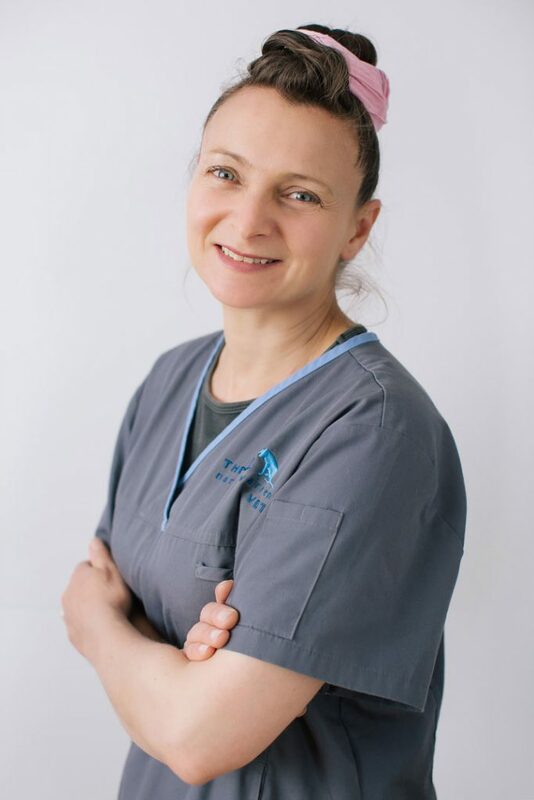 Crystal has studied vet nursing, canine behaviour and has been in the veterinary industry for over 13 years. She enjoys spending time with her two little girls, husband and fur babies (Vegas a French bulldog, Winston a Kelpie X and Carlos a Burmese kitten).